Share the post "Better than a Twin Home"
The owner of a property I have listed at 301 & 311 – 4th St. NW just recently made some large improvements on the 311 – 4th St. NW side of these two units I consider more of a twin-home rather than a side-by-side duplex. I spent some time in the unit today and got a real “feel” for the flow of the floor plan as well as all the possibilities for expansion it offers in the basement. This particular side of the duplex has a walk-out basement which would indeed allow for an additional lower level living area. When you walk in the front door there is a large living/dining area and around the corner is an extra roomy kitchen. This configuration creates a large “L” of living/dining/kitchen area. The bedrooms and bath are off the hall entrance from the living room. What’s really unique about these units is that the only shared walls are the back of the kitchen and attached garage wall. Therefore, the respective occupants likely don’t hear each other much at all because garage walls and kitchen walls are back to back. Another nice feature is that each unit pays all their own utilities including water, sewer and garbage. I know there are still thrifty people out there that would look to this property as a no brainer way to cut their housing costs. When one takes into account the rent received from the other side, the costs of the owner’s housing is drastically reduced. The other side’s rent is currently at $450.00 per month but if I owned the unit, the rent would be bumped up at least $100.00 per month and with some cosmetics, it could easily bring $625 – $650 per month. 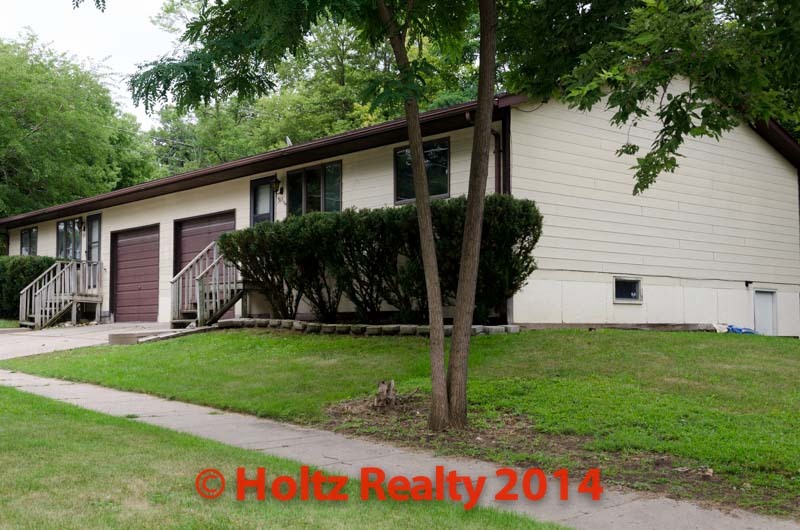 Where can you find a newer 2+ bedroom offering full basement with laundry area, attached garage, central air and low utilities for that price in Mason City? This duplex that is a wanna be twin home has been under the radar far too long so I’ve decided to have a Public Open House on the vacant side this Sunday afternoon from 1:00 – 3:00 PM. With all things considered, this duplex is better than a twin home. Stop by Sunday and you’ll see for yourself.